Clay pipe fragments excavated from Shakespeare's Stratford-upon-Avon home contain small amounts of cocaine and myristic acid - a hallucinogenic derived from plants, including nutmeg. The pipes, which were examined with the help of Inspector Tommie van der Merwe of the South African Police Service's Forensic Science Laboratory, also show hints of residues of cannabis. Of the 24 fragments of pipe loaned from the Shakespeare Birthplace Trust to University of the Witwatersrand, cannabis was found in eight samples, four of which came from Shakespeare's property. The findings were published in the South African Journal of Science. What other weed could Shakespeare have been noting? Some have speculated that his reference to "compounds strange" could be the cocaine. But California NORML director Dale Gieringer is skeptical of this, noting that cocaine wasn't available in Europe at Shakespeare's time; it begs the question of whether the pipes were contaminated by modern hands. “What potions have I drunk of Siren tears," he wrote in Sonnet #119. Shakespeare's father John was a glovemaker and mayor of Stratford who had a sudden downturn in fortunes when his side business—dealing in illegal wool—was cracked down on by the government that controlled the legal market. PBS's website says John was on the surface an upstanding member of the community, but "in the parlance of our times, John Shakespeare was also a dealer. Not that he traded narcotics, but he did trade illegally in the hottest currency of the day, wool." The family was Catholic, and as that faith was repressed by force, William's maternal grandfather was publicily executed. William, who had been well educated as a youth in the Elizabethan educational revival, reading Ovid and learning Latin, suddenly was without the means to attend University. Instead he married, making him ineligible for an apprenticeship either. He reportedly turned to poaching deer off the local Lord's property, and was beaten and imprisoned for it. Like Jesus, Shakespeare had "lost years," 10 years when little is known about his whereabouts and activities. He may have taught school at Horton tower in Lancashire, spent time at the seashore, and eventually joined an acting troop. 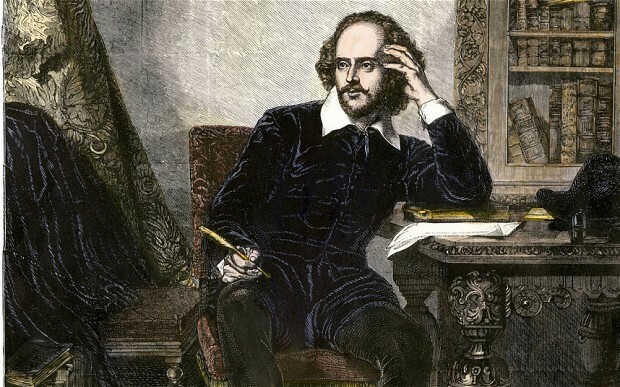 When he started writing plays he was unfavorably reviewed against the more educated Christopher Marlowe, but the public overwhelmingly chose Shakespeare (and still does). One of his last and most powerful plays, The Tempest (1610) also has a magical theme: Prospero, the sorcerer and ousted Duke of Milan, uses his magical powers to conjure up a storm that drives his enemies to shipwreck on the island he rules. Source: E. Stoddard, Pipes show cocaine smoked in Shakespeare's England, Reuters, March 1, 2001.